A FRENCH WOMAN who claims she moved to Ireland from France because she wanted to protect her autistic son will spend Christmas with her children after fulfilling the conditions of her bail. The woman was brought before the High Court last week, and held in custody at the Dochas Centre in Dublin, on foot of a warrant issued by the French authorities seeking her extradition on child abduction charges in respect of her 15 year old son. The European Extradition Warrant seeking her surrender also states the woman failed to obey a French court’s order requiring her to deliver the boy to his father. 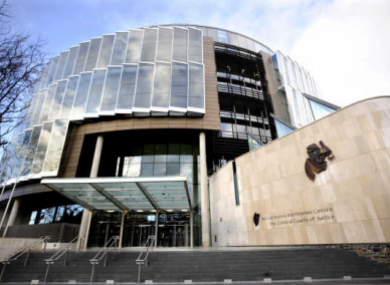 Bail was granted by the High Court on conditions including that a surety of €75,000 be provided. The woman’s solicitor Ms Gwen McCool of Burns Kelly Corrigan confirmed she had complied with bail conditions imposed by the High Court on Monday and she had been released from custody. Since her incarceration the court heard local people where the woman and her family have resided since their arrival in Ireland had been looking after her children. She was reunited with her son and daughter late on Tuesday night. The woman, aged 48, flew to Ireland with her son a day after she was due to hand him over to her ex-husband. Her husband and their daughter arrived a short time afterwards. She says she fears if she had returned her son to his father the boy could end up in a psychiatric institution and become institutionalised for life. She says international bodies including the United Nations have criticised the French government’s policies on children with autism. The matter came before Ms Justice Aileen Donnelly on Monday who set bail at €75,000 either in her own surety or in the form of an independent surety such as a bank account here that would be frozen. Ms Justice Donnelly held the woman is a flight risk because she is determined not to return to France. The woman and her husband also have access to a large amount of cash, she said. Opposing bail Gardaí had claimed she is a flight risk as the woman had not complied with a French court order and had access to considerable cash from the sale of an apartment in Lyons. The court heard the woman and her husband paid a deposit on a house in Ireland with some of the €300,000 they had in a French bank account. Her husband had flown to France to access the money and was arrested in connection with the case. Seeking bail the woman’s lawyers said they were prepared to comply with any terms imposed by the court, but had expressed fears there would be difficulties in transferring bail money from France to Ireland. However since then the conditions of bail have been met, the monies have been lodged and the woman has been released on bail. The matter will return before the court on January 11th next. Email “French woman who came to Ireland 'to protect' autistic son granted bail”. Feedback on “French woman who came to Ireland 'to protect' autistic son granted bail”.